The Heart – Part I. 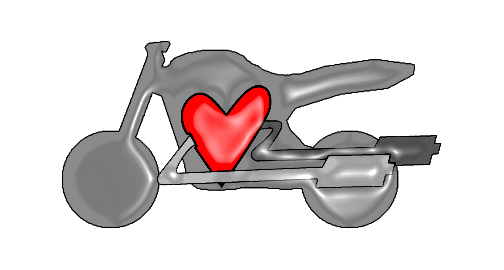 What really makes me think of engines as the heart of motorcycles is the fact that after starting, and completing their first revolution they just keep on going. Of course, they need fuel, air and sparks, but still the moment of starting is just so much like the midwife patting on the back of a newborn baby’s. It cries, and so the system flows. As a mechanic it is inevitable to have a good overstanding of the engine itself. It’s the part of the system that creates all the power the bike uses, and it is also probably the most precisely engineered part of it. First, let’s see the different types of internal combustion engines used in nowaday’s motorcycles. 2 Stroke Engines (or 2T) are becoming outdated but there are still many on the roads around the globe, and they have a large number of fans. They complete their working cycle in two strokes, oppesed to 4 Stroke Engines (4T) where each phase takes a stroke. 4T engines are the most common out there (especially in cars, only these are used recently and allowed due to enviromantal and sound restrictions). Their build-up and workinkg mechanism is similar, and they complete the same 4 phases throughout their work cycles: Intake, Compression, Power, Exhaust. Only the 2T completes two at a time. Wikipedia gives a great description with images and animations about both the 2T, and the 4T engine types. For both of them there are several kinds of setups on motorcycles, which differ by the number and the position of the cylinders, and their valve controlling systems. For example, a boxxer is when the cylinders are in pair, and positioned against each other, so their pistons move in the opposite directions, or a V-twin is where the two cylinders are positioned forming a “V” shape. All engines are mainly attributed by the size of the cylinder, measured in cubic centimetres (or cc’s), which basically refer to the amount of fuel and air mixture that they burn in each power phase. Their RPM (rotation per minute) capacity is not less important either, which tells us how many revolutions per minute they are up to. It’s easy to understand that their power is mainly a function of these two properties: how fast they spin, and how strong the spinning force is. 2T enines compared to 4T ones with the same CC and RPM are more powerful because of their more concentrated working mechanism: they complete the cycle in only 2 strokes or 1 revolution . These engines power the most bikes out there but naturally there are oddities. Armies tend to use and develop diesel engines, or as an other odd example, some run with those strange Wankel engines. Also there are more and more electric vehicles. However, on this blog we will focus on those usual, real-world examples that are the most frequent and roll out there in daily use.